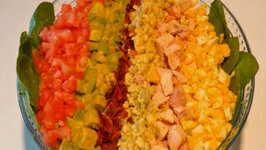 Chef Cari prepares her famous Cobb Salad with avocado, bacon, cherry tomatoes, and chicken. 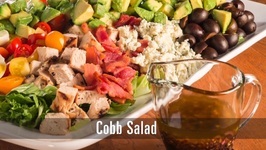 This recipe has a lot of customization to make it exactly the way you want, so ..
Wedge Salads are elegant, yet they are so simple to make. 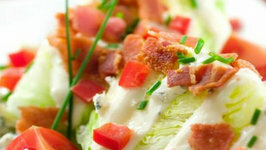 These wedge salads are great to serve for a party or even you average weeknight. 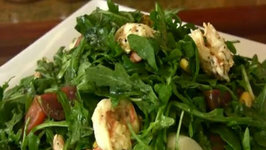 I created this video today 8/12/2012 to enter into JB's cooking contest. I got up pretty early to start prepping for the meal. 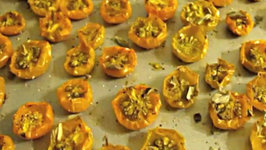 I'm still trying to work through my 50 million cherry tomato dilemma. 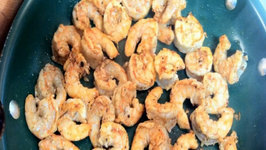 Eat 'em?Freeze 'em? DRY 'EM! 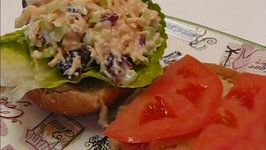 In this video, Betty demonstrates how to make a Cranberry Almond Chicken Salad Sandwich. 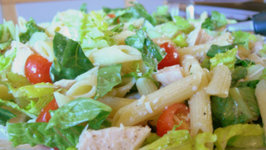 This recipe was inspired by the chicken salad sandwich that I ordered on our .. 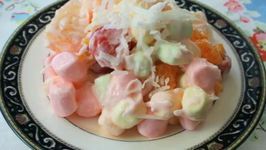 In this video, Betty demonstrates how to make her lovely and elegant Pineapple Cloud Tropical Fruit Salad recipe. 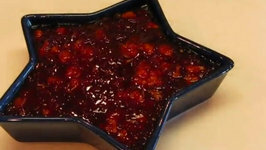 In this video, Betty demonstrates how to make her lovely Festive Cranberry-Orange Relish Molded Salad. 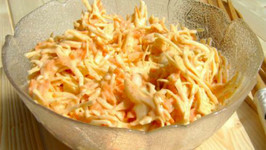 Whatever time of day and whichever meal may it be, its always a good time to indulge in a healthy crunchy low fat salad. 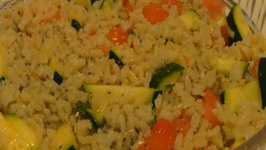 In this video, Betty demonstrates how to make Chia Rice Salad. 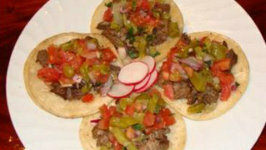 This recipe was published by the Lexington Herald-Leader Newspaper during March, 2013. 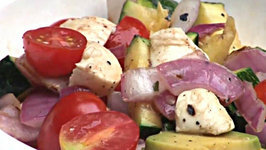 This healthy luscious salad is loaded with the goodness of fruits and is a great value addition to any meal. In fact it makes for a delightful treat just by itself. 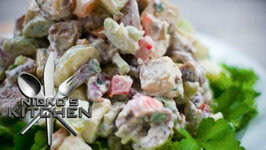 In this video, Betty demonstrates how to make 4th of July Old Fashioned Southern Potato Salad. 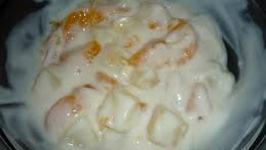 I have had this recipe for over 40 years, and it is one of the best-tasting .. 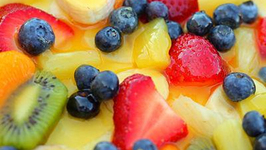 This sweet, old-fashioned fruit salad is a tried true favorite at Gooseberry Patch. 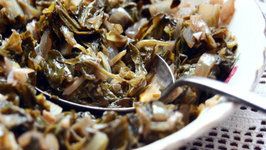 It reminds us of our grandmothers' special Sunday suppers.